American Motorcycles Norway / Veteran-Mc.com: Christmas wishes! 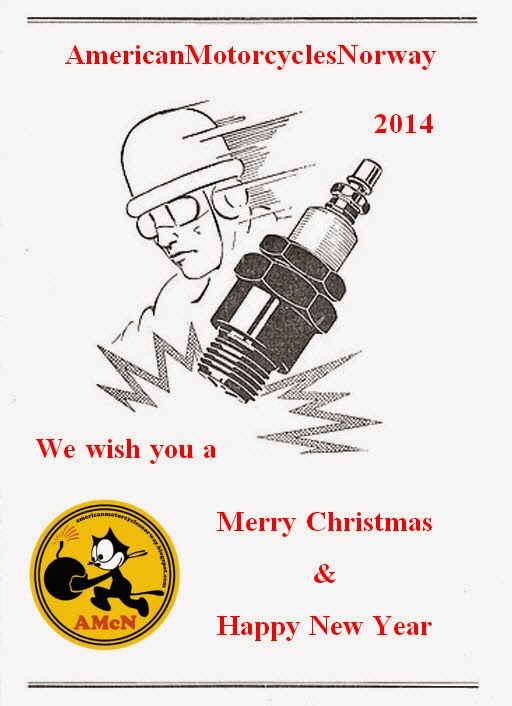 To all off you, we wish you a Merry Christmas and a Happy New Year! Patrick, happy new year to you and I will try to change my schedule at work to be able to come. What is the length of a rope? Modifications from way back when. "Halvtopp" gathering, and some beer!